Katie Du’Mont has worked in theatre for the past 9 years in costume, wigs & makeup departments. She has spent time touring the UK and internationally for world-renowned companies such as the Welsh National Opera, The Royal Shakespeare Company and most recently Chichester Festival Theatre. In the past year, alongside her professional work in wigs, hair and makeup, Katie has re-discovered her passion for body painting. She has entered several body painting competitions including Paintopia 2016, where she was placed 3rd in ‘Solo Body Painter of the Year’ which made the front cover of Photoshoot Magazine, and 1st in the ‘Professor’s Apprentice’ category painting with Angela Youngs, as well as being awarded 3rd place in the Arts Couture Festival, Painswick. Kaite says, “After attending last year’s Prosthetics Event I left really inspired and I’m thrilled to be painting at this year’s event” – we’re excited to see what she creates! 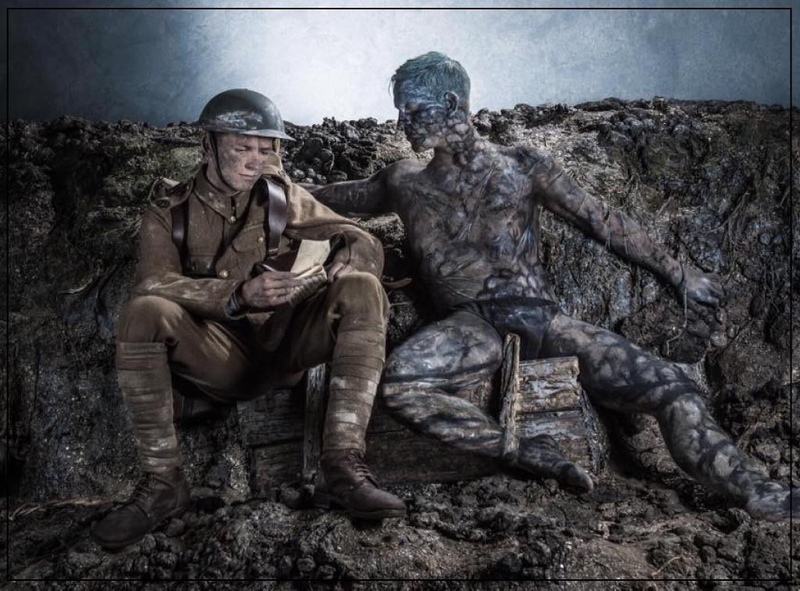 The body paint shown was created by Katie on the set of ‘First Light’ at Chichester Festival Theatre, which tells the story of two young boys who were shot at dawn during the First World War. This moving piece of art was created in memory of those who lost their lives on the Somme in 1916.